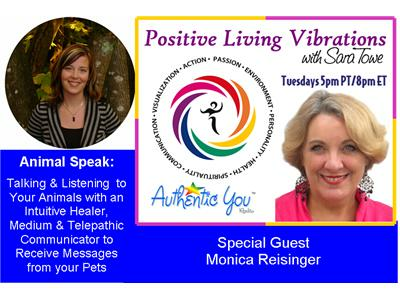 Positive Living Vibrations: Animal Speak with an Intuitive! Animal Speak – Talking and listening to your animals! Ever curious what your pets are thinking? Your pets react to your behavior and feel your pain and anxieties, learn in how to know their needs. Visit the official show page of Positive Living Vibrations: http://www.AuthenticYouRadio.com/Positive-Living-Vibrations.